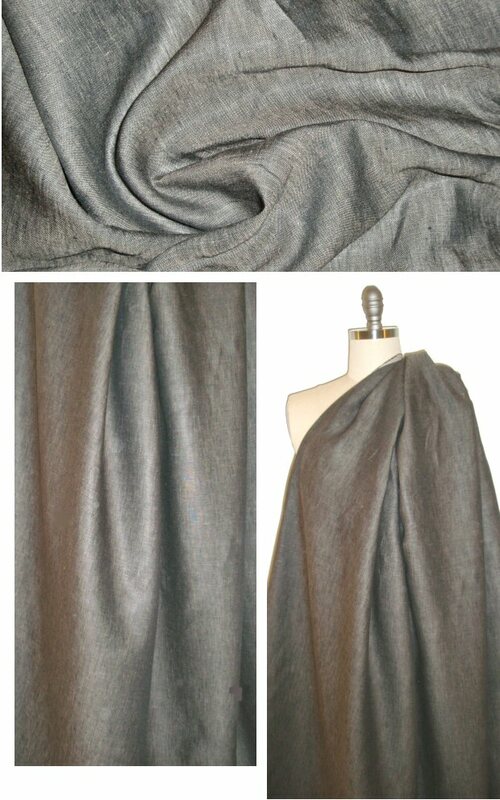 This is a lovely quality ORGANIC cross-dyed linen in a mix of charcoal and bark which gives a warm tinted gray look (PANTONE 18-0601 is a rough estimate). It is medium-light weight, soft and casual with a bit of crispness and body, nearly opaque, and suitable for shirts, lightweight jackets, tunics, summery pants, dresses, skirts, etc. So versatile, make any number of coordinating tops and bottoms! Dry clean or machine wash in cold water. Lay flat or hang to dry.